Display options are adjustable, fill in your title and font colors preference (in word or color HTML code). 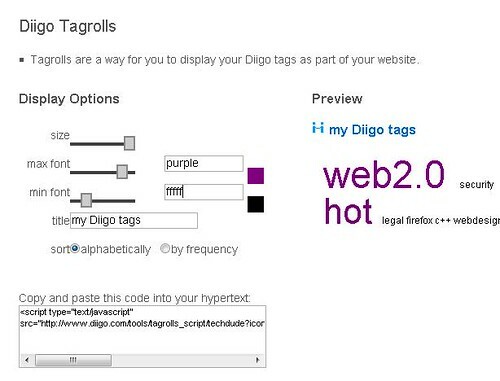 Tagrolls is self-adjusting in width according to your site column size. Please give it a try.